Quality Air Heating and Air Conditioning > Articles > Heat Pumps > Columbus Heat Pump Maintenance Question: How to Clean the Parts of a Heat Pump? Columbus Heat Pump Maintenance Question: How to Clean the Parts of a Heat Pump? It is very important to keep your Columbus home’s heat pump clean. It improves efficiency, helps performance and prevents malfunctions. Cleaning your heat pump should be part of your home maintenance routine in order to keep the house as comfortable and worry-free as possible. With that done, put everything back, replace the grille covers and power the heat pump back on. It should run smoothly with a fresh filter and no debris to gum up the works. Clean the coils every few months to keep the heat pump in tip top shape. 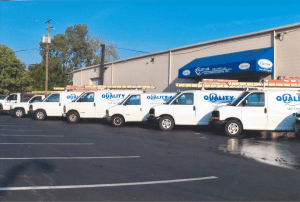 If you want to have your heat pump professionally maintained for optimal performance, give Quality Air Heating and Air Conditioning a call today!